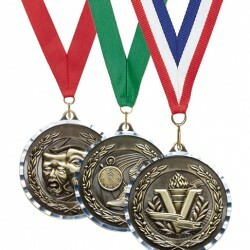 FREE Ribbon ⍟ FREE Setup ⍟ NO Hidden Fees VM Medals are Hi-relief die cast medals classically designed in striking detailed, available in a wide selection of themes and available in antiqued gold finish. 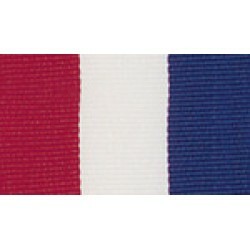 All of our Medals Include 1-1/2" Wide and ..
FREE Ribbon ⍟ FREE Setup ⍟ NO Hidden Fees DT Series Dog Tags Style Medals are made of the highest quality metal, classically designed in striking detailed feature a raised relief of wide selection of themes with deep textured recessed areas!You suppl..
FREE Ribbon ⍟ FREE Setup ⍟ NO Hidden Fees XR Medals are Hi-relief die cast medals classically designed in striking detailed, available in a wide selection of themes and come in antiqued gold, silver or bronze finish. All of our Medals Include 1-1/2" Wide and 32..
FREE Ribbon ⍟ FREE Setup ⍟ NO Hidden Fees Glitter series medals are premium quality Hi-relief die Cast Medals with Translucent RED & BLUE Color Highlighted Sections Filled with Glitter, available in a wide selection of themes. 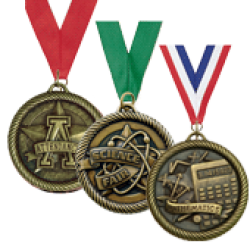 All of our Medals Includ..
FREE Ribbon ⍟ FREE Setup ⍟ NO Hidden Fees MS Series Medals are Hi-relief die cast medals classically designed in striking detailed, available in a wide selection of themes and come in antiqued gold, silver or bronze finish. 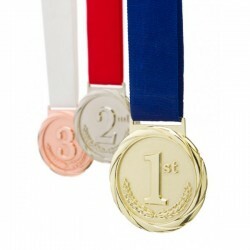 All of our Medals Include 1-1/2" Wide..
FREE Ribbon ⍟ FREE Setup ⍟ NO Hidden Fees IT SPINS!!! Spinner Medal are premium die cast medals classically designed in striking detailed, the spinning center allows for you to display with motion both sides , available in a wide selection of themes ..
FREE Ribbon ⍟ FREE Setup ⍟ NO Hidden Fees TRI Color Series Medals are premium quality Hi-relief die cast medals classically designed in striking detailed, available in a wide selection of themes and come in antiqued gold, silver or bronze finish. All of our Med..
FREE Ribbon ⍟ FREE Setup ⍟ NO Hidden Fees Gi Series Dog Tags are made of the highest quality stainless steel, classically designed in striking detailed, available in a wide selection of themes, Include 30 " chain at No additional charge.You supply your text via..
FREE Ribbon ⍟ FREE Setup ⍟ NO Hidden Fees MDC Series Medal are premium die cast medals classically designed in striking detailed with Diamond cut look on surrounding edge , available in a wide selection of themes and come in antiqued gold, silver or ..
FREE Ribbon ⍟ FREE Setup ⍟ NO Hidden Fees Om Series medals are our largest size, Olympic Style premium quality Hi-relief die cast medals classically designed in striking detailed, available in 5 themes and come in bright gold, silver or bronze finish. .. 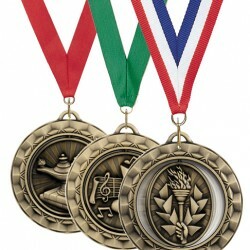 Custom Die Cast Medals 2" - 2.5"
FREE Ribbon ⍟ $60 Setup ⍟ NO Hidden FeesSpin Cast Single Faced Medals Spin cast Medals are high quality Hi-relief die cast medals classically designed in striking detailed, casting involves using centrifugal force to make casting from a rubber or a silicone mol..